Update: Product page now available. Update: We got hands-on at IFA. 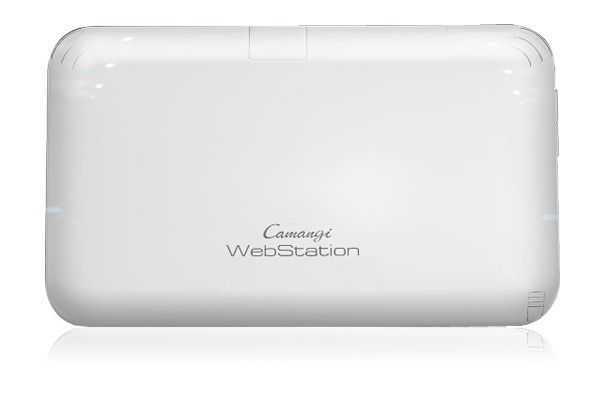 We won’t spend too much time reminding you of the Camangi Webstation. Despite a nice look, it was a rather weak entry into the tablet market. The Camangi Market launched at the same time and promised to offer tablet-focused apps. With just 80 apps (that I can find) its no wonder that the new Camangi product will have Google applications and the all-important Market. The Sheng Tung Development Co., Ltd. are a supplier of Tawanese good and partner to Camangi are at IFA this week. They’ve posted information about the new, FM600 model on the IFA website. I’ve highlighted the important features. 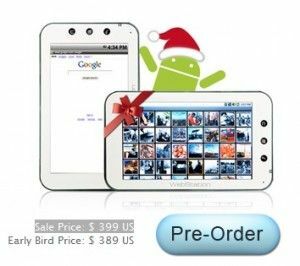 Android 2.2 with 7 inch Mobile Internet Device ( MID ) / Tablet / Mobile Phone. The worldwide first release 7 inch Android 2.2 system. 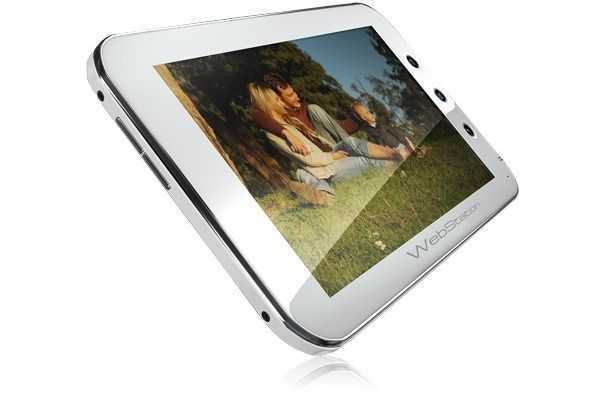 Capacitive touch screen with best multimedia experience. Latest Google service and full internet function. Support Android Market, Youtube online watch, Fring, Facebook, Skype, Twitterâ€¦.social network platform. 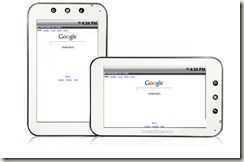 Google Map & Navigation in 7 inch screen enlarge the view. QR code access convenient the life. Dual cameras are for webcam and camcorder to take photo & video. Support SIM card 2G/3G signal, it just become a smartphone with large screen when SIM card slot in. 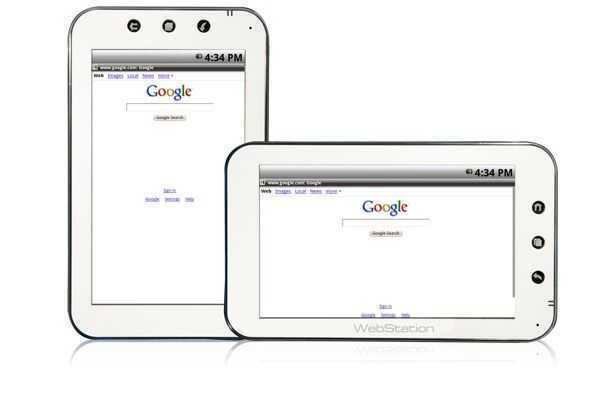 Google Applications: Android Market, Google Maps, Google Mail, Google Talk, YouTube, Navigation and more. Update: There’s a Camangi II too. It’s running a Samsung Cortex A8 CPU and a 5mp cam. Update2: We were told at IFA that this product won’t have the Google Market and aplications. I think we’ll have to wait and see though because details are very unclear right now. Meet:Mobility Podcast 38 is now up. Recorded on Dec 30th 2009. JKK, Sascha and I talk at length about the main CES 2010 topics including Pineview, consumer tablets and other mobile computing devices. Also covered: Camangi Webstation. Viliv N5. Tegra. Predictions for 2010. You can also find the podcast on Mevio where it’s available in a number of different formats and on iTunes (Please rate the show on iTunes.) 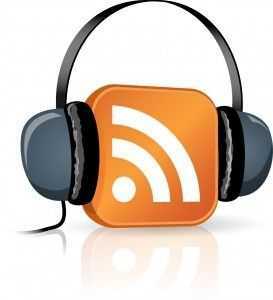 You can also subscribe via RSS. Gear Diary have a retail version of the Camangi Webstation and although there’s not much on what they think of it yet, they have completed the unboxing. We will be keeping a look out for feedback on quality, performance, software and battery life. 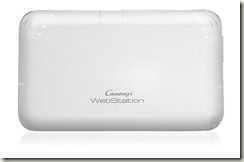 The Camangi Webstation Unboxed | Gear Diary.